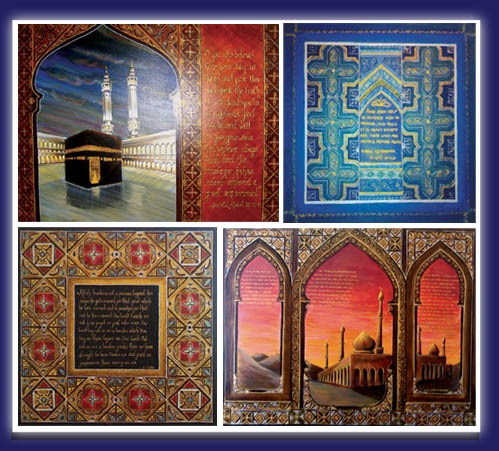 Please browse our selection of Islamic paintings and Muslim Art. or have an enquiry, please do not hesitate to call or email us. We are currently redeveloping our site and you will be able to see new Islamic Paintings as they are developed. If you cannot wait, then please fill out the form and send us your enquiry. All images are copyright and material of www.MuslimArt.net, no images can be used without prior permission and consent from the copyright holder.